With the consequences of a larceny related conviction being so severe it is of utmost importance to retain an experienced criminal defense lawyer who will fight to protect your rights. Whether it is taking your case to trial or negotiating a favorable plea bargain the law office of David Galison, P.C., will stand by your side throughout all stages of the case. Call the office today at 516-242-4477 for a Free Consultation. Click Links Below To Fight Your Nassau County Traffic Tickets. On April 2nd, 2012 several young men were arrested in Nassau County, New York, and charged with criminal mischief as a B felony. The allegations assert that the defendants used fireworks to cause damage to several mailboxes. The defendants have all entered pleas of not guilty. Mr. Guerrero maintains his innocence and has offered through counsel, David P. Galison, Esq., to participate in a lie detector test to be conducted by and through the Nassau County District Attorneys Office. Anyone with exculpatory information should contact David Galison by email or telephone. 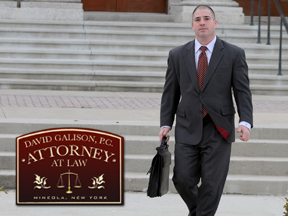 The email address is david@galisonlaw.com and the phone number is 516-242-4477. Additionally, the Nassau County Police Department should be notified. The reward is in the amount of ONE THOUSAND DOLLARS ($1,000.00) total. If more then one person comes forward with information that leads to the arrest and conviction of the actual perpetrators the reward will be divided among them equally. If you have been issued a traffic summons or traffic ticket in the Valley Stream VillageCourt you should have a lawyer protecting your rights. Any moivng violation can causepoints on your license putting both your driver's license and your auto insurance at risk. The law firm of David Galison, P.C., appears regularily at the Valley Stream Village Court handling all types of traffic tickets. If you have been give a traffic summons for any of the following please call for a FREE CONSULTATION: Speeding Ticket, Red Light Ticket,Stop Sign Ticket, Failure To Signal Ticket, Unsafe Lane Change Ticket or Reckless Driving. The office handles all moving violations, traffic infractions, traffic tickets, andcriminal matters. The Valley Stream Village Court Justice is the Honorable Robert G. Bogle. A personal appearance is required by the Court for those charged with criminal law violations or traffic violations. However, your appearance can be waived by the Court for non-criminal traffic ticket with a properly executed authorization. With this authorization I can appear on your behalf in your absence. It is important to habe an experienced attorney who knows the rules of the Valley Stream Village Court and is familiar with the vehicle and traffic law in order to protect your rights. 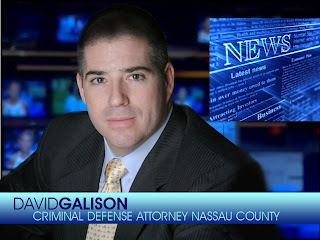 I am Nassau County traffic ticket lawyer David P. Galison, and for over a decade, I have handled traffic tickets ranging from minor equipment violations, to trucking violations to 100 mph plus speeding tickets in the Nassau and Suffolk County Courts. I routinely appear in the Valley Stream Village Court and am fully familiar with the Court rules and procedures. I handle all tickets no matter what the violation and strive to keep your points and insurance premiums down. *The failure to answer a Traffic Summons can result in the suspension of your driver's license. If you are subsequently stopped by a police officer for a traffic violation while you are operating a motor vehicle you can be arrested and handcuffed and charged with a criminal offense. **If you receive more then ten points in any 18 month period, your driver's license can be suspended by the Department of Motor Vehicles. Points are computed by the Department of Motor Vehicles from the date the summons is issued, not the date of conviction. Call the Law Office of David Galison, P.C., to setup your FREE CONSULTATION. At this meeting we will advise you fo the various options available to you. You will be informed of the legal fee charged for handling your case and the anticipated outcome. In many cases your traffic violations can be resolved without your presence being required in Court, saving you time and money from loss of work and other important obligations. I routinely handle the following types of traffic ticket cases; Speeding Ticket,Stop Sign Ticket, Red Light Ticket, Failure To Signal Ticket, Driving on a Suspended License, Driving on a Revoked License, Driving While Intoxicated, DWI, Driving While Impaired, DUI, Illegal Turn Ticket, Improper Turn Ticket, Unsafe Lane Change Ticket, Failure to Yield Ticket, No Insurance Ticket, Reckless Driving Ticket, Speed Contest Ticket, Passing a School Bus Ticket, Tailgating Ticket, Following to Closely Ticket, Disobeying a Traffic Control Device Ticket, Leaving the Scene of an Accident Ticket, Cell Phone Ticket, and all others. If you have received a traffic ticket returnable in the Rockville Centre Village Court you should have a lawyer protecting your rights. Any moving violation can cause points on your license putting both your license and your auto insurance policy at risk. The law office of David Galison, P.C. routinely appears at the Rockville Centre Village Courthandling all types of moving violations. If you have received a traffic ticket or summons for any of the following please feel free to call: Speeding Ticket, Red Light Ticket, Stop Sign Ticket, Failure to Signal Ticket or Unsafe Lane Change. The office handles all moving violations, traffic infractions and criminal matters. In the Rockville Centre Village Court the Justices are the Honorable William J. Croutier and the Honorable Kevin P. McDonough. Like most other Courts, in Rockville Centre Village Court a personal appearance is required for those charged with a traffic violation, though often times I can appear on your behalf in your absence with a properly executed authorization. It is very important to have an experienced attorney who knows the rules of the Court in order to protect your rights and your driving record. I am Nassau County traffic ticket lawyer David P. Galison, and for over a decade, I have handled traffic tickets ranging from minor equipment violations to 100 mph plus speeding tickets in the Nassau and Suffolk County Courts. I appear frequently in the Rockville Centre Village Court and am fully familiar with the Court rules and procedures. I handle all traffic violations no matter what the ticket and strive to keep your points and insurance premimus down. *The failure to answer a Traffic Ticket in the Rockville Centre Village Court can result in the suspension of your driver's license. If you are subsequently stopped by the police for a traffic violation while you are operating a motor vehicle you can be arrested and charged with a criminal offense.